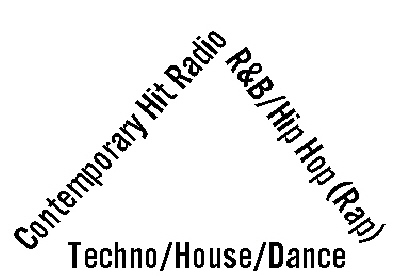 Kint98.com has the most music genre's from various shows we produce. This page updates frequently as to provide you the BEST music variety. would not be possible without them. We thank you for listening. (Disclaimer Notice: Since these are archived recordings obtained from LIVE broadcasts, any contests or promotions you may hear in these recordings are NOT valid). (Please Note: You might need the audio player plugin to play these shows. They will possibly play when you click on the IPhone Icon). 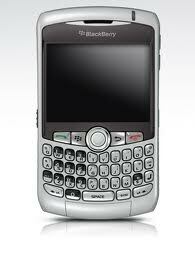 Try clicking on the smart phone icon Your browser does not support the audio element. NEW Rock Mondays with Music Miles & 'Ol Man Winters featuring NEW ROCK Music: I The Mighty*Bay Ledges*Beck*311*New Politics*Whitesnake*New Years Day*Godsmack*Seven Past Sunset*PLUS our FLASHBACK REWIND is a 1977 ROCK song that went to #28 Enjoy the NEW ROCK show. NEW COUNTRY MUSIC Your browser does not support the audio element. NEW Country Wednesday music with Music Miles, & Buzz, join in on the fun where we are featuring NEW Country Music from: Ashley McBryde*Caroline Jones*Riley Green*Tucker Beathard*Carrie Underwood Introduces her NEW song*Tennile Arts*Jessie James Decker*The Randy Rogers Band*Request for Jordan Davis NEW song officially available on Apr. 22*PLUS the FLASHBACK REWIND is a 1968 #1 in U.S POP, Country & in Canada hit. Tune in and enjoy the fun. Retro '70s & '80s is sponsored by: The Red Door, 8889 Gateway Blvd. #2800, (The Fountains at Farah) (915) 283-4247. RETRO SHOW Your browser does not support the audio element. Jay W. ROCKS with you a.ong with your requests on the RETRO tunes from the '70s & '80s, Tune in and enjoy the show. NEW Rock Mondays with Music Miles & 'Ol Man Winters featuring NEW ROCK Music: Hozier*Middle Kids*Silverson Pickups*Mallrat*Weathers*Your Request for Oberhofer*Saint PHNX*Finve Finger Death Punch*Tyler Bryant & The Shakedown*PLUS our FLASHBACK REWIND is a HOT ROCKIN' tune from 1973 at #23 that will get your toe-tapping. Enjoy the NEW ROCK Music. NEW Country Wednesday music with Music Miles, & Buzz, join in on the fun where we are featuring NEW Country Music from: Danielle Bradbery*Matt Boone*George Strait*Jake Owen (2 Songs)*Midland*Blake Shelton talks about his NEW song*Kane Brown (Ft Becky G*PLUS our REWIND FLASHBACK is a 1994 HOT Country Hit at #3 in the U.S & #2 in Canada. Tune in and enjoy the fun. Jay W. is ROCKIN' with the RETRO tunes from the '70s & '80s, Tune in and enjoy the show. NEW Rock Mondays with Music Miles & 'Ol Man Winters with their CRAZY brand of humor & NEW ROCK Music featuring: Delacey*Smith & Thell (Ft. Swedish Jam Factory)*Twin XL*Cage The Elephant & Beck*The Strumbellas*The Lumineers*Perry Farrell*White Lies*PLUS our FLASHBACK REWIND will take you to 1981 ROCKER #44. Enjoy the NEW ROCK Music. CRAZY Jay W. ROCKS with all your favorite RETRO tunes from the '70s & '80s, Tune in and enjoy the wacky humor. 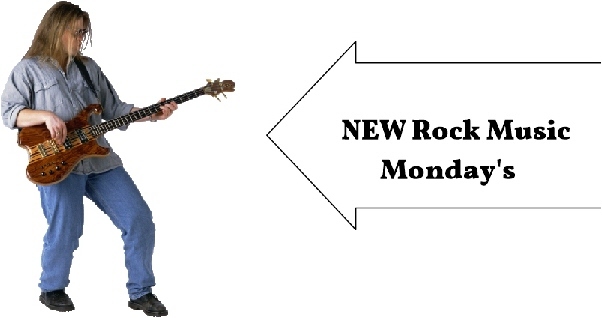 NEW Rock Mondays with Music Miles & 'Ol Man Winters & Jay join in on this Special Aprils Fools Day with some crazy humor & brand NEW music featuring: Plague Vendor*Modest Mouse*Gary Clark Jr.*Chvrches*Judah & The Lion*The Unlikely Candidates*Ra Ra Riot*PLUS our FLASHBACK REWIND will take you to 1977 at #30. Enjoy the ROCK Music. NEW Country Wednesday music with Music Miles, & Buzz, join in on the fun where we are featuring NEW Country Music from: Marty Brown*Dustin Lynch*Brad Paisley*Reba McEntire*Rachael Wammack*Caylee Hammack*LANCO*Brooks & Dunn (Ft Brett Young)*PLUS our REWIND FLASHBACK is a 1978 Country Hit at #5 in the U.S & #3 in Canada. Tune in and enjoy the fun. Jay W. is ROCKIN' with all your favorite RETRO tunes from the '70s & '80s, Tune in and enjoy the music. NEW Rock Mondays with Music Miles & 'Ol Man Winters featuring: Demob Happy*Two Door Cinema Club*Foster The People*Fits And The Tantrums*Bluer October*Mona*Badflower*Sego*Easy Life*Suzi Wu*PLUS let's ROCk our FLASHBACK REWIND to 1976 at #15. Eveyone knows who this band is. Enjoy the ROCK Music. NEW Country Wednesday music with Music Miles, Buzz, & Jay join in on the fun where we are featuring NEW Country Music from: Hunter Hayes*Granger Smith*Danny Roberts With His Band The Plumptones*Tim Bradley*Sarah Darling*Scotty McCreery*Wild Fire*Stephen Paul*PLUS our REWIND FLASHBACK is a 1991 Country Hit at #1 in the U.S & Canada. Tune in and enjoy the fun. Jay W. has all your favorite RETRO hits of the '70s & '80s, Tune in and ROCK with Jay & enjoy the music. Michael Clicker Your browser does not support the audio element. In this Episode, Michael talks about "Our Environment"
In this Episode, Michael talks about "Beyond What You Think About Healthcare"
More CRUZIN' Classics with Jay W. along with your requests ONLY on kint98.com Radio. Music Miles with the latest CHR music featuring: SZA, The Weeknd & Travis Scott*Lil Dicky*Christian Paul*Big Daddy Swolls*Diego Val (Ft Domino Saints)*Daddy Yankee (Ft Snow & Katy Perry)*Kygo & Rita Ora*Armin Van Buuren (Ft Bonnie McKee)*Audien (Ft Echosmith)*Elephante (Ft Neeve)*PLUS our FLASHBACK REWIND may not top the Billboard Charts but is a great classic 'Ol School Dance Club Jam that will take you back to 1985. Enjoy the show. Your CRUZIN' Classics and requests are right here with Cruzin' with Jay on kint98.com Radio. Enjoy. Music Miles has all the latest CHR music featuring: Mathieu Koss & Aloe Blacc*Asher Angel (Ft Wiz Khalifa)*Tony Also*Lil Nas X (Ft Billy Ray Cyrus)*Loud Luxury (Ft Brando, Pitbull & Nicky Jam)*BTS (Ft Halsey)*Calvin Harris*Cooper Leith*Daddy Yankee (Ft Snow)*Sam Smith & Normani*Why Don't We & Macklemore*PLUS our FLASHBACK REWIND time capsule will take you back to 1981 'Ol School DANCE R&B Classic. Enjoy the show. Enjoy great Cruzin music with Jay, where he welcomes your requests. You can send him your Cruzin Request at our text line at 915-867-9946, or email him at kint98@aol.com, subject line: Jay's Cruzin Request. He's got you covered with great music classics. Music Miles has all the latest CHR music featuring: Ferry Corsten & Nevve*Jennifer Lopez (Ft French Montana)*Max*Andreas Moss (Ft Mia Mor & Doeman)*City Girls (Ft Cardi B)*LuQa*Bazzi*Ciara*Jonas Brothers*Kiana Lede*PLUS our FLASHBACK REWIND time capsule will take you back to a 1979 classic and for kicks we threw in an 'Ol School Rap favorite. Enjoy the show. '50s - '70s Show Your browser does not support the audio element. Cruzin' With Jay is sponsored by: Discount Printing and Signs, 1461 Lee Trevino Suite 103, (915) 599-2201. The Cruzin' Show with Jay W. is a great way to sit back and leave the Cruzin' Music to us with great classics ONLY on kint98.com Radio. Join Music Miles with humor in our news stories & NEW CHR Music Featuring: Julia Michaels (Ft Niall Horan)*Ariana Grande*Kelly Clarkson*Betty Who* Becky G.*Destiny Rogers*Dannic*Your Requests for Jasmine V, Lizzo, & John Newman*PLUS our FLASHBACK REWIND time capsule will take you back to a 1992 DANCE CLUB favorite. Enjoy the show. More Cruzin' music with the oldies you love along with your requests, ONLY on kint98.com Radio. Join Music Miles with NEW CHR Music Featuring: Louis Tomlinson*Steve Aoki & Monsta X* Tauren Wells*21 Savage (Ft J Cole)*Blueface*In Real Life*Jonas Brothers*Tony Also*Tony Also*Sean Paul & J. Balvin*Jeremy Zucker*PLUS our FLASHBACK REWIND time capsule will take you back to 1994 at #3 to a HOT Dance Club Hit. Enjoy the show. CRAZY Jay & Music Miles together again. Rockin' with your favorite classics from the '50s - '70s. Enjoy. Join Music Miles with NEW CHR Music Featuring: Iggy Azalea*Wiley & Stefflon & Sean Paul (Ft Idris Elba)*VASSY*Lil Nas X*Lennon Stella*Marshmellos (Ft Chvrches)*K-Klass*ATB & Markus Schulz*Tony Also*Right Said Fred (Ft Stella Jones)*PLUS our FLASHBACK REWIND takes you back to 1991 at #1 to a HOT Dance Club Beat. Enjoy the show. Jay & Music Miles are at their antics again. Rock with them with great music classics from the '50s - '70s. Enjoy the show. Jay & Music Miles Rock you with great music classics from the '50s - '70s & crazy current news stories and more. Enjoy the show. Year In Review Your browser does not support the audio element. This Year in Review we spotlight a great Classic Rock Band "Three Dog Night". It started with 3 guys Danny Hutton, Corey Wells, & Chuck Negron. Enjoy great hit songs of the legendary THREE DOG NIGHT. Enjoy. This Year in Review is about the British Invasion. A BRITISH ROCK SPECIAL, also a Birthday Shout-out to Jeannie all the way from England. Happy Birthday To Jeannie. Enjoy the Show. This Year in Review is a SPECIAL occasion for Kitty who is celebrating her Birthday. Happy Birthday to Kitty. Enjoy the Show. This Year in Review will be ONLY the '90s. Popular '90s HITS of the era..
With the LOVE Dr. Jay W.
This Year in Review will be ONLY the '70s. Popular '70s HITS of the era.. The LOVE Dr. is in and has great soothing love ballad songs. So relax and enjoy the great love songs. CHEEZY SATURDAY'S LIVE Broadcast Saturday's (9-10)a.m.
A look at the Bubble Gum Years back in the day of the Teeny Bopper music craze & more. CHEEZY Saturday Pop Classics with Music Miles. See if you remember a Saturday Cartoon TV show in this Broadcast. Enjoy the show. 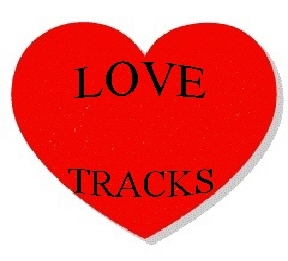 The LOVE Dr. has what is ailing you, and that is great LOVE TRACKS music with a variety of LOVE Ballads. The Sounds of Soul Your browser does not support the audio element. COOL Soul Classics on "Sounds of Soul" are right here on kint98.com Radio. CHEEZY Saturday Pop Classics with Music Miles. Great bubble-gum classics Enjoy the show. The DR. is in. Dr. LOVE that is, and he has a variety of LOVE Ballads on LOVE TRACKS. Your one stop Soul Classics on "Sounds of Soul" are right here on kint98.com Radio. CHEEZY Saturday Pop Classics with Music Miles. Enjoy the show. All The Soul Classics are right here on "Sounds of Soul" on kint98.com Radio. CHEEZY Saturday Pop Classics with Music Miles. Enjoy. GREAT Sounds of Soul Classics on kint98.com Radio. CHEEZY Saturday GREAT music classics with Music Miles. Enjoy the Classics. Copyright 2018, kint98.com Radio an L & M Enterprises Company. All rights reserved.